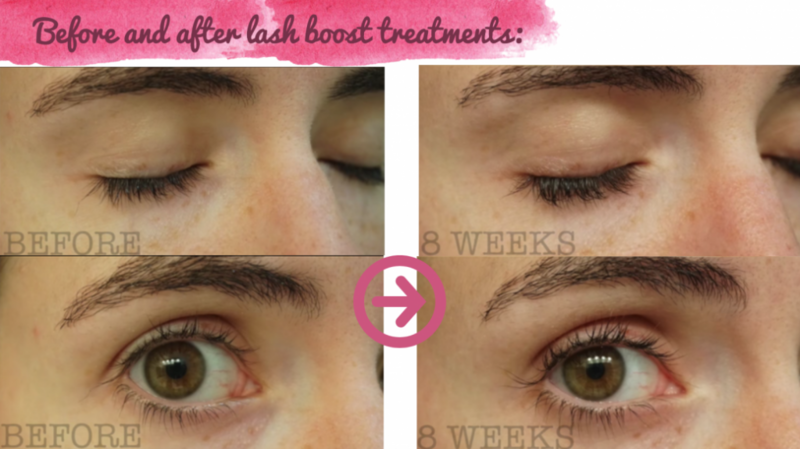 Lash boost has become a well known alternative to false lashes within the beauty sphere. Lash boost itself is a product that is distributed solely by consultants under the Rodan & Fields brand. It retails for $150 (USD) for 5ml. 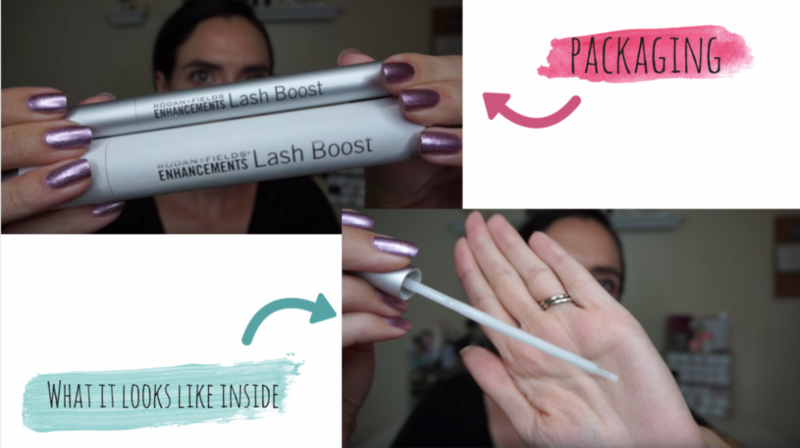 Beauty guru, Amanda (@makeup.just.for.fun), has made a video reviewing Lash Boost extensively. If you are thinking about an alternative remedy for short, sporadic lashes, that don’t involve heavy duty lash glue and false extensions, then this may be worth exploring. The product itself resembles an average mascara tube, except the serum inside, is clear and gel like. The directions for use are pretty simple: it’s meant to be used on the upper lashes only and specifically once your face is clean and dry. You apply the gel across the upper lash line using the tiny applicator brush. It’s important to note that you do want to avoid contact with your eyes. Amanda took close-up photos of her lashes both before use, and after eight weeks of use. She used Lash Boost every night, with no breaks and she saw a huge difference. The only concern is that you really have to commit to using this product every single night, or the results tend to dissipate. The growth of your lashes will reach an impasse after a certain period if this isn’t consistently applied. After the eight week period, you can switch to maintaining the growth of your lashes and apply it every other night instead. After a total of twelve weeks, Amanda notes that she has definitely seen major results. She noticed that her lashes improved in both volume and length. She suggested that if you continue to use this product every single night, instead of just switching over to the maintenance type of dose where you apply the serum in alternating nights, then your lashes will continue to grow. It’s all about your personal goals and preferences. One of the main concerns for the majority of consumers is most likely the price. You only get a mere 5ml for $150. Amanda did note however that although she’s been using her lash boost for about twelve weeks now, she still finds that there is a lot of product left. She suggests that she will most likely only need to use about one and a half to two tubes of this serum a year. She also mentioned that you can actually get a member discount. So if you sign up as a preferred customer, you can get a discount on your lash boost and if you decide to purchase any other products from Rodan and Fields, you’ll get a discount on those too. The number one con however, is that the results aren’t immediate. So compared to your lash extensions, you really have to wait about four to eight weeks before you see a difference here, so the results are not immediate and you also have to continue to use this product or, you will see your results diminish. Another major concern is regarding the fact that Lash Boost does contain almond extract. So if you are allergic to nuts, this product may not work for you. Please be aware of that. If you have a nut allergy look into this, because there is almond oil in the product. A major pro though, is that these are your real lashes! There’s no need to apply makeup, mascara, or any glue. There’s no touch ups needed, it’s almost like a lotion for your lashes. You don’t have to fuss and worry about your fake lashes falling off, these are your real lashes, but ten times better. This product actually also works on brows, which is great if you want an alternative to microblading for thicker brows. You also don’t need to make any appointments with your spa, it’s DIY! So it’s super easy. Amanda herself has had a great experience with lash boost. Mostly because she hates false lashes and this is a great alternative. 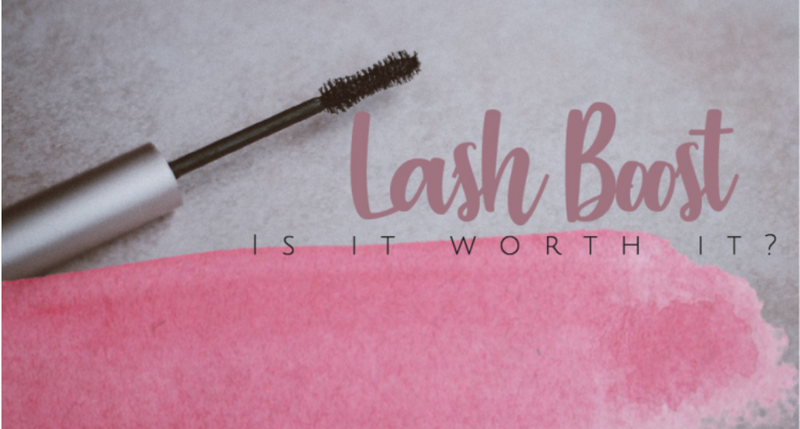 If you’re weary of spending hundreds of dollars every few months for lash extensions and are tired of hearing horror stories from women who have lost lashes due to glue malfunctioning, then this might work for you instead. Lash Boost Cost. How much is Lash Boost and best places to get it?